Dubai is a popular luxury vacation destination. So it’s not really surprising that you’ll find plenty of things to do there — including some amazing golf courses. When you’re ready to plan your family trip, check out these tips. Golf is popular in Dubai. You’ll find several golf courses available, including the Trump golf course in Dubai. But the city has a lot more to offer as well, including The Mall of the Emirates, specialty shops, and a variety of restaurants to enjoy. If you’re looking for some fun activities to do with your family, consider taking riding camels through the desert, going sand boarding, or riding dune buggies. While you golf, your family can spend time at the beach. Packing for a family vacation in Dubai can be a bit tricky, especially for females. Swimming suits, tank tops, and sundresses are fine for the beach, but everyone you need more conservative clothing to wear elsewhere. Your clothing should cover your elbows and knees when you’re out in public. Also, pack your favorite golf attire and lightweight wicking clothing to wear while you’re in the desert — and a lot of sunscreen. Another thing you need to think about is the type of clothing you’ll wear to dinner. If you’re going out in the evening to a local restaurant or club or even you’re just having drinks in your hotel bar, you’ll need more formal attire. Dubai natives love dressing up to go out, so it’s not unusual to see women in fancy cocktail dresses eating at what you might consider a casual restaurant. Dubai really only has two seasons — hot and hotter. So before you officially book your Dubai vacation, there are a few things you need to consider. Between November and March, the heat isn’t as overwhelming. In fact, winter brings beautiful blue skies and ideal golfing weather. However, the winter season is also peak tourist season, so expect popular places, such as Jumeirah Beach, to be a bit more crowded. If you’re there in December, check out the Dubai International Film Festival. In March, the city hosts the Al Marmoom Heritage Festival, and throughout January and February, the Dubai Shopping Festival attracts large crowds. If you want to avoid tourists, visit between April and October, but be prepared for temperatures to be in the 100s — with about 90 percent humidity. The weather makes it hard to enjoy outdoor activities, so when you are on the golf course be sure to wear plenty of sunscreen and drink a lot of water. On the bright side, hotel rooms are cheaper during this time. Ramadan falls in the late spring/early summer, and the city slows down a lot during this time. Muslims are expected to fast from eating, drinking, and smoking between sunrise and sunset. While non-Muslims aren’t required to fast during the day, eating, drinking, and smoking in public should be avoided as a sign of respect. Also, expect businesses to be closed for longer hours than normal. Restaurants remain open, serving food behind screens until the sun goes down. Overall, Dubai is an amazing city to visit. It’s luxurious and it’s filled with a wide range of activities for your family to enjoy. 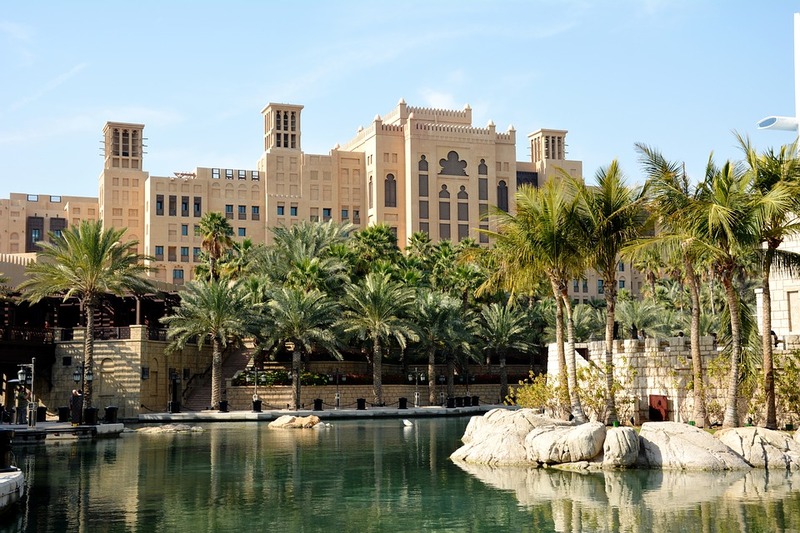 From golf courses and beaches to malls, restaurants, and clubs, Dubai has something for everyone to enjoy.